Receive meaningful, loving messages from your Angels to heal and harmonize your life. Got questions on your life purpose, career, relationships, health or spiritual gifts? Sarah communicates with the Angels to receive uplifting guidance and insight to help you realize your highest spiritual potential. Working with the Angels is a tremendous opportunity for enriching the quality of your life and for strengthening your relationship with the divine. In need of healing? 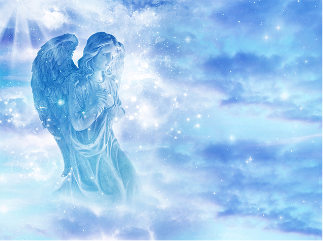 Receive deep energy healing from the Angels to uplift and restore your body, mind, and spirit. 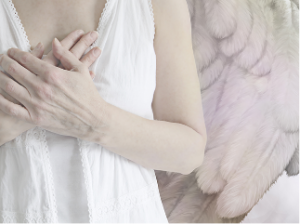 Sarah channels the energy of the Angels in deeply informative, relaxing, meditative sessions to remove blocks, cut etheric cords, clear your energy, and uplift your vibration towards peace and health. Journey into your innermost self to discover your truth and heal. Angelic Soul Healing sessions include: Learning who your personal Angels and Spirit Guides are, and receiving channeled guidance from them on your questions. Scanning your energy body for cords, blockages, or stuck energy. Identifying any of your core beliefs that need shifting, and their source (both in your current life, and any past lives that require identification and healing). Clearing and Balancing your spiritual energy through a channeled Angelic deep-healing induction. Identifying your Spiritual gifts and Soul Origins to help you understand and fulfill your spiritual purpose. 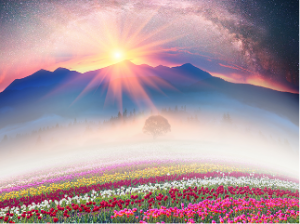 Rooting into the realm of the Angels to upgrade the clarity of your intuition, spiritual practice, and daily connection to the Angels’ guidance. 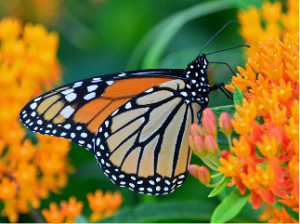 Remembering Past Lives can be an incredible healing experience and a transformational means of stepping into your spiritual power. Often times, blocks, fears or challenges that we face in this lifetime are rooted in karmic experiences from the past. The healing catharsis of a past life regression is like removing such blocks at the roots: it clears away challenges and fears in one easy swoop! Our past lives can help us to better understand ourselves, our soul mate relationships, and our life’s purpose in exciting and empowering ways. With the help of the Angels and other heavenly guides, Sarah helps you to energetically heal and release anything from your past lives that no longer serves you, as well as to bring your psychic and spiritual abilities from these lives to the forefront. Sarah offers past life readings as well as guided past life regressions. Soul Retrieval is a healing ritual for retrieving lost parts of the soul. Soul loss occurs as a result of trauma occurring either in this lifetime or previous lifetimes. If you experience chronic depression, anxiety, grief, feelings of incompleteness, blocked memory, addictive behavioral patterns, or a loss of energy or joy, Soul Retrieval may be for you. Sarah will guide you to integrate lost soul fragments with the help of your Spirit Guides and Angels, allowing for deep, intensive healing to take place. Please schedule your Soul Retrieval session on a date when you are able to rest and relax. You will integrate the healing optimally with reflective preparation and plenty of rest. You will spend your session with Sarah in a guided Shamanic Journey receiving deep energy healing and messages from spirit. Your appointment will be akin to ‘psychic surgery’. It is important to plan to be lying down or in a reclining position during your appointment so that you can rest deeply, and allow the physical body to shift, release, and adjust according to your needs. After your appointment, it is important to spend the rest of your day resting in a gentle, supportive environment. Sarah will continue holding space for your healing throughout the day of your appointment to help you fully ground and set the stage for harmonious integration. It is highly recommended to spend time journaling, reflecting or meditating both before and after your session. This will help you to identify your highest healing intentions and connect you deeply with yourself so that you develop a lasting understanding of any shifts in perspective, lifestyle or belief that coincide with your healing. Feel free to contact Sarah with any questions. Ancestral Healing involves deep spiritual healing for traumas and emotional patterns passed down by your ancestors. With the help of your Spirit Guides and Angels, Sarah channels information about your ancestral lineage going back many generations and guides you in releasing what no longer serves you. Ancestral Healing transforms energy patterns to unlock the gateways to joy, abundance, and self-empowerment in all areas of life. Please schedule your Ancestral Healing session on a date when you are able to rest and relax. You will integrate the healing optimally with reflective preparation and plenty of rest. You will spend your session with Sarah in a guided Shamanic Journey receiving deep energy healing and messages from spirit. Your appointment will be akin to ‘psychic surgery’. It is important to plan to be lying down or in a reclining position during your appointment so that you can rest deeply, and allow the physical body to shift, release, and adjust according to your needs. After your appointment, it is important to spend the rest of your day resting in a gentle, supportive environment. Sarah will continue holding space for your healing throughout the day of your appointment to help you fully ground and set the stage for harmonious integration. It is highly recommended to spend time journaling, reflecting or meditating both before and after your session. Spend time reflecting on your relationships with your family members, and identify which relationships or patterns you are most in need of healing. 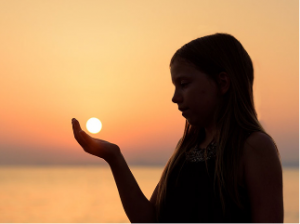 Forgiveness work is essential to Ancestral Healing, and it is recommended to journal or reflect on the intention of forgiveness in your preparation. One Ancestral Healing session will usually address either one side of your lineage (maternal or paternal), or one healing issue that connects both sides of your lineage. ‘Psychic surgery’ of this kind requires step-by-step healing of one issue at a time to ensure the deepest results.